With many wedding venues to choose from, you will certainly want to ensure that you make the right chioce for your big day! After all, the setting you decide on will be where your happily ever after begins, and should therefore be spectacular. In order to ensure that you choose the best venue for your own nuptials, you will want to take part in a walk-through. Are you prepared to take your tour? When Should I Go? You will want to begin your search for your wedding venue about a year in advance. This way, you will have more options when it comes to selections, as you will want your chosen date to be available. So, select a few venues that you would like to visit, and call them to schedule your tour. However, if you have a strict date set in mind, only tour the venue if your date is available. After all, you wouldn’t want to waste your time, or fall in love with a space that you wouldn’t be able to choose. Who Should Go with Me? Of course, both you and your partner should attend your wedding venue walk-through. 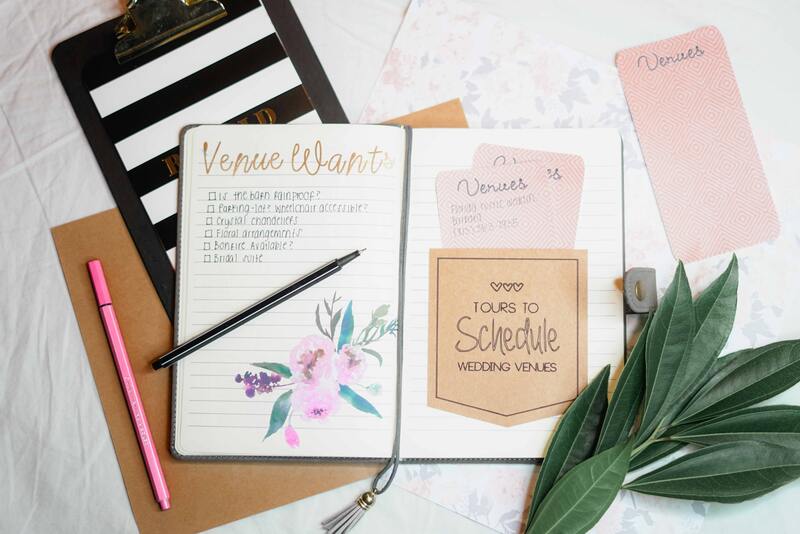 However, if you are working with a wedding planner, they should also be present, as they will assist you with ensuring that your space is the right fit for your big day. Also, your parents may like to attend. However, you should keep your entourage small, as you wouldn’t want too many opinions clouding your judgement. What Questions Should I Ask? When touring wedding venues, you will want to make yourself aware of a few key details. First off, price is of importance! You will want to know the total fees that will need to be rendered, so that there are no surprises when it comes time to pay. In addition, you will want to make yourself aware of the total hours included in the rental, from the time you step foot into the building, until you depart. Also, make yourself aware of what amenities are included in the rental, such as if tables and chairs will be presented, along with in-house catering. Your wedding venue is an essential part of your big day! These are just a few questions you will want to keep in mind for your own walk-through. If you are all set to discover your own wedding venue in Columbus, Ohio, such as Columbus Zoo & Aquarium, please contact us here at Engaged Columbus. With many venues to choose from, we can surely assist you with finding yours.